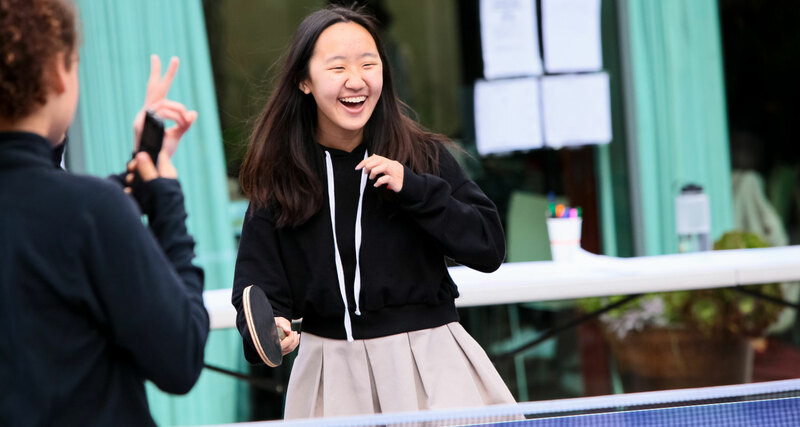 ABOVE: In 2018, students organized Westridge's first annual March Madness Table Tennis Tournament. At Westridge, you’ll explore all your unique talents and passions while you thrive, learn, and grow from all we have to offer. We are a sisterhood that gives you support, earns your respect, and cherishes your trust—long after you graduate. Along with academics, activities are a big part of the experience at Westridge. Outside of the classroom, you can play sports, study and work on projects together, rehearse theatre and dance, attend club meetings, run the student government, produce the newspaper. No matter how varied or focused your interests are, there’s an activity and a place for you. Above all, the Westridge community is filled with joy and an infectious desire to learn, collaborate, and grow. I couldn't live without all the kindness of the people at Westridge, especially my friends. Being at Westridge makes me happy, and when I am happy I learn more. Clubs join girls with similar interests together to share knowledge, spread passion, and affect change. Girls at Westridge lead and participate in the following clubs: Alliance, Amnesty International, Animal Club, Art, Asian Culture, Chess Club, Classic Films & TV, Green Guerillas, Help Africa, Junior Classical League (Latin), Korean Culture, LINK (Liberty in North Korea), Math Club, Red Cross, Roots and Shoots, Science Olympiad/Robotics, Speech & Debate, UNITY, World Issues Club, Young Democrats, Young Republicans. 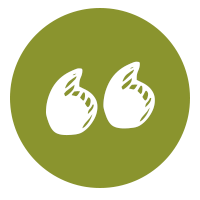 Student Voices is a student-led leadership group dedicated to addressing topics related to diversity, equity, inclusion, and social justice. Student Voices is comprised of Affinity Heads and Student Diversity Leadership Conference (SDLC) and White Privilege Conference (WPC) delegates. With a focused group of students, Student Voices raises awareness about local and global issues and events through assemblies, town meetings, and lunch talks. Korean Affinity lunch talk: "Going Beyond K-Pop and Korean BBQ: A Deeper Look at the Korean-American Experience"
Spyglass: Westridge’s school newspaper is staffed and published by Upper School students. Check out the new Spyglass 2.0 online, a fully digital version of the newspaper. InLook: The yearbook “looks in” on life at Westridge. The staff consists of Upper School students and is distributed in May. OutLook: The Upper School’s literary magazine is published annually. This collection of poetry and short stories authored by Upper School students is an expression of looking out on life as well as within. LitLook: The Middle School’s literary magazine is published annually and consists of poems, stories and art submitted by Middle School students.